Today Microsoft announced that Windows 8 will become generally available on October 26th. This date matches prior market estimates. Users will be able to buy the operating system, or upgrade to it on that date. Previously, Microsoft promised that Windows 8 would be released at some point in October. Recently, Microsoft has announced more and more of the coming version of Windows, doubling down on its hybrid interface. 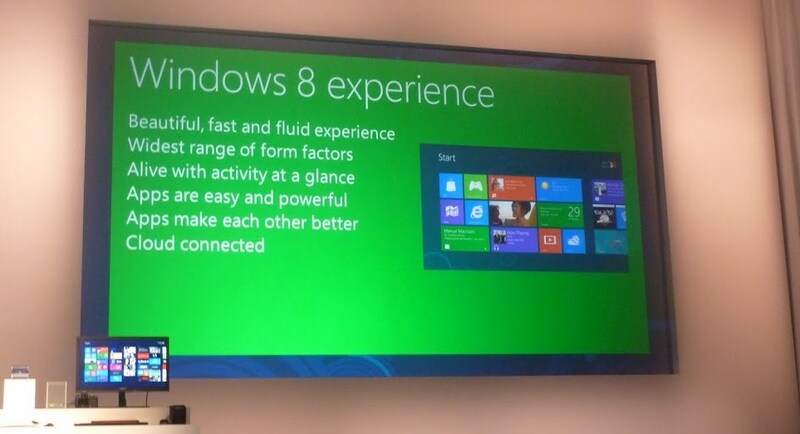 Windows 8 is a radical redesign of Windows that takes into account a mobile and touch-centric future. This release date will give consumers ample time to purchase systems running the code for the holiday season, something that has surely not escaped Microsoft’s mind. Windows 8 is coming – whether it will help Microsoft push into the future, or push Windows over the shark remains to be seen. All big bets are uncertain until the final die stops rolling. For now, all we can do is play with its Release Preview (Release Candidate equivalent) and mentally calculate. For more on what Microsoft has in store for the holidays, head here to dig through the latest from its Office division, and TNW’s take on the coming hardware tsunami. Coming next should be release dates for Office 2013, Windows Phone 8, and the next version of Windows Server. It’s going to be a busy end of the year for the Redmond-based software firm.